As 2016 draws to a close, I’m reflecting on the year with my wonderful voice and piano students. They range in age from 6 to 65 plus, and each one is a delight! We enjoy our lesson times together very much and I appreciate their diligence in practicing and memorizing their music. I also very much appreciate their families who support them in their pursuit of musical skills, knowledge and enjoyment, as these are gifts that will last for a lifetime. We had a lovely recital in May and we will look forward to another one in May of 2017. 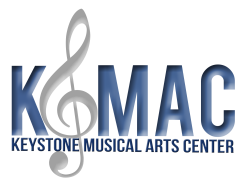 I’m grateful to Terry Selders, director of Keystone Musical Arts Center and his support of me and my colleagues. May 2017 bring you all much joy and music-making!